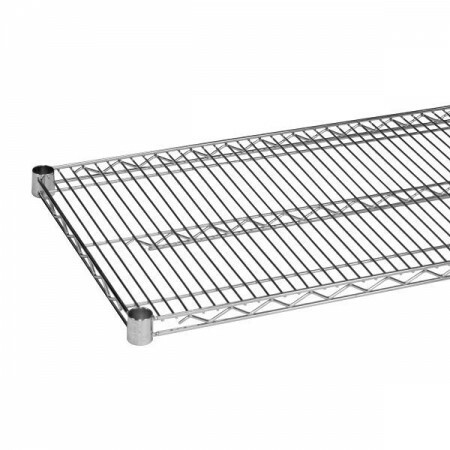 $20.06 Winco VEX-2430 Epoxy Coated Wire Shelf 24" x 30"
Whether you're storing kitchen supplies or displaying delicacies, the Thunder Group CMSV2430 Chrome Wire Shelving 24" x 30" is an excellent option. This piece has an open wire design that facilitates proper air flow and prevents dust from accumulating. Thanks to its vertical ribs, this shelving piece ensures easy loading and unloading of items. Made from chrome-plated metal, this wire shelving will withstand heavy duty use without warping.